Find a top rated, trained massage therapist near you in Greenwich. Same day booking to your home, office or hotel. Lymphatic drainage massage uses gentle, repetitive strokes to facilitate the lymphatic system.Â The lymphatic system is part of your body's immune system which can become sluggish due to our modern sedentary lifestyles. Encouraging the flow of the lymphatic system can increase immunity and help fight off colds and minor infections, as well as reducing water retention. Ideally a lymphatic drainage massage should be carried out in a warm room. During the treatment, your therapist will use light, repetitive strokes to help lymphatic fluids drain in specific flows. The therapist will work their way up from your feet using a gentle pressure akin to pushing a coin along a table. They may also use soft, pumping motions in the direction of the main lymph nodes in the neck, armpits and groin. What is a lymphatic drainage massage or detox massage? 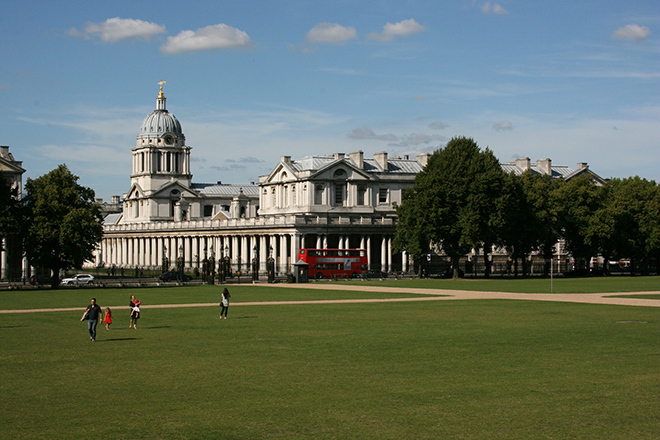 From the Royal Observatory to the Cutty Sark, Greenwich has no shortage of beautiful places to explore. Unfortunately, most of us are too busy rushing from work to social obligations to find the time to enjoy the most beautiful borough in London. If your weekdays are packed with projects, plans and meetings, and your weekends are full of exercise, family and food, it’s important to make sure you’re tuning in and supporting yourself both physically and emotionally. Booking a massage is a great way to promote better sleeping habits, soothe sore muscles and support injury recovery. Spending just one hour with a massage therapist in the comfort of your own home is one of the simplest ways to re-energise and restore your zest for life. There’s no magic formula for finding the perfect work/life balance, but your therapist will tailor your treatment to perfectly meet your needs. Even better, planning a massage in your own home, office or hotel room cuts out the travel, leaving you with more time to relax and enjoy your surroundings. Whatever your schedule, there’s a massage just for you. Spend the weekend over-indulging at Greenwich Market? Wind down on a Sunday night and prepare for the week ahead with a Relaxing Massage. Testing your running prowess with a jog around Greenwich Park? Try a Deep Tissue Massage to revive aching limbs. Dancing the night away at the O2? Shake off the week and get ready to shake your socks off with an Energising Massage. Pretending to be a film star at the Old Royal Naval College? Experience an Anti-Cellulite massage to look and feel your best.